Here you can change the various aspects of the bookmaker and game posts. 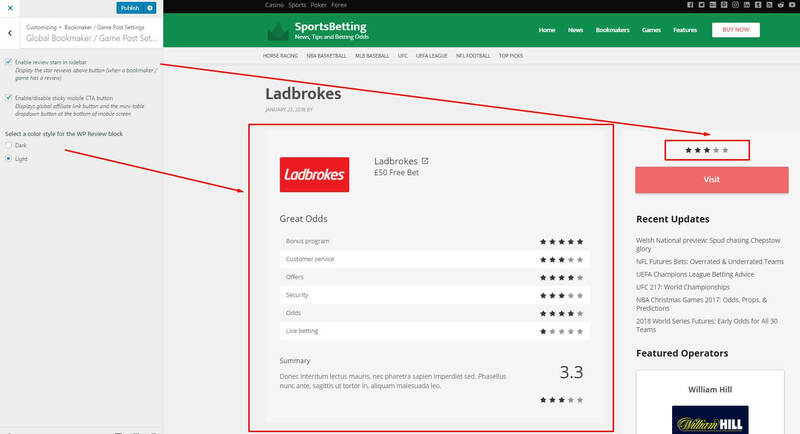 “Enable review stars in the sidebar” – Display the overall star review score above the main CTA button (when a bookmaker / game has a review). “Enable/disable sticky mobile CTA button” – You can display the main CTA for mobile devices so it’s always visible while scrolling the review content.